Running a blog often sounds very appealing. You’ll have a place to share your thoughts, build a community, and also generate some much-needed cash. Sounds great, doesn’t it? It sounds obvious, doesn’t it? That’s because it is obvious. Who in their right mind would start a blog with the intention of producing crap content and completely neglecting social media? Morons, that’s who. The reality is you could be producing the most awesome content in the world, but if nobody gets their eyeballs on it then it all goes to waste. I’ve been blogging for a fair amount of time now and have learnt a lot of tough lessons along the way. During my early days of blogging, the thing that I really craved was advice on how to generate traffic without having to spend a fortune doing it. Most bloggers don’t blog full-time, at least not at the beginning, so they don’t have thousands (or even hundreds) of pounds (or dollars) to be spending every month to get things off the ground. Within this post, I’m going to show you some ways that you can generate traffic to your blog without breaking the bank. I’m going to mention some paid tools, but nothing that will cost you a fortune! To kick things off, let’s look at driving traffic through from the search engines, and in particular finding some low-hanging fruit. One of the first personal blogs that I set up was my travel blog. This became my testing ground for new link building methods and I was really keen on making a big impact within the search engines (all within a tiny budget – i.e. under $50 a month). During the early stages of my campaign, I made some rookie mistakes on the keywords that I was going after and it really set me back. I decided that I wanted to rank for search terms like travel blog and cash in on huge amounts of traffic to the homepage. I spent massive amounts of time and resources in doing so, and I actually managed to reach the bottom half of page 1 for around 2 weeks. This then died down because I was going up against some of the big boys in the industry that were literally spending over 100x more than me. It wasn’t the best use of my time, and to be honest, the reward wasn’t great. Most users that came through from this kind of search term bounced from the site and didn’t look at my articles, which is what I really wanted. This made me stand up and take notice. I’d increased traffic from search by over 450% – not bad. What’s more, the visitors were staying on the site because the content was directly relevant to the query they were searching for. Don’t worry, I’m hearing ya! This is where I’ll suggest a tool. The tool in question is Keyword Eye and it costs £9.99 per month (~$16) for the Pro package, but there’s also a free version. The reason why I’m suggesting this tool is because it uses data from SEMrush, an awesome tool that costs a significantly larger amount (the top package is $149.50 per month). The thing with Keyword Eye is that it’s really simple to use. It has a ton of advanced features, but the main feature I want to talk about is the Question Finder feature. 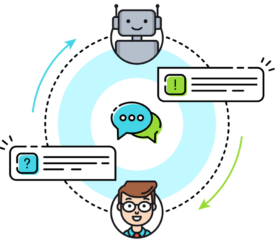 In a nutshell, the tool allows you to plug-in a general topic and it will gather a number of informational queries related to it. In the example above, I’ve searched for blogging. This has returned a long list of questions that people regularly search for related to blogging, along with the search volume and competition scores. This is perfect for finding some opportunities. There’s a post on the Keyword Eye blog that goes into a little more detail about this feature – you give it a read here. My approach, on a basic level, is to pull off a list of broad topics that are related to your niche and then plug them into the Question Finder. From here you can start creating content focused around them to drive through organic search traffic over time. As you can see, the vast majority of these search terms that are bringing through traffic to the blog are very specific, long-tail queries. Extra Reading: I recorded a full review and tutorial of Keyword Eye last year that goes into some of the other features of the tool. One thing to note is that there’s been a TON of new features added, but this should give you an insight into what else it can do. I can’t stress the importance of growing a social media following enough. For bloggers, it’s a hugely powerful resource to have when you’re looking to build traffic to your content. Having said that, it’s not always easy when you’ve got a minimal budget at your disposal. This is where you have to make the most out of what you’ve got by being smart with your social sharing. I’m not going to go into the details of choosing the right social channel to pursue because there are tons of articles out there that you can read which directly focus on this (if you’re interested, check out this, this or this). Instead, I’m going to show you how you can take the pain out of engaging with your social media following, whilst also getting maximum exposure. This is where I call in some help from Buffer. 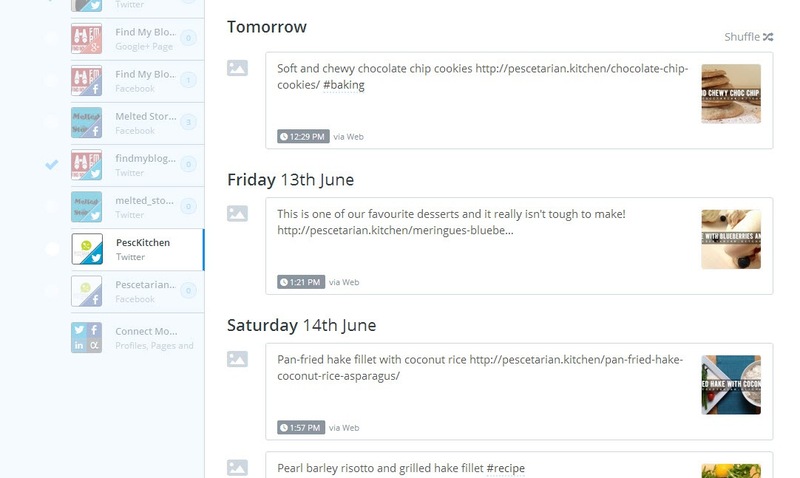 If you haven’t heard of Buffer before then you need to go and try it out. There’s a free version (which will be more than enough for a blogger) and a paid version ($10 a month). In short, Buffer allows you to schedule in your social media posts across a range of different platforms so that they go out at the peak times of activity for your followers (here’s more details). 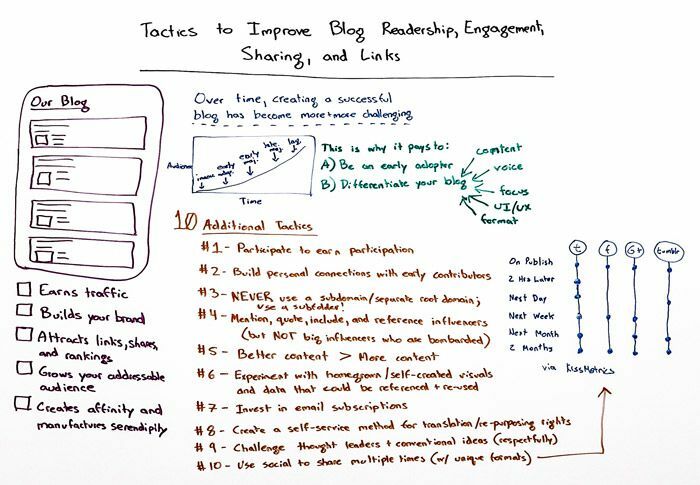 The above image is from Rand Fishkin’s recent Whiteboard Friday on Moz. In the bottom-right corner of the image, Rand has drawn up the optimal posting schedule for your blog content across Twitter, Facebook, Google+ and Tumblr. Using this as a guideline, I ensure that whenever I publish any new blog post it gets scheduled through Buffer across each of my social networks. I can then measure the impact of each post and refine it to squeeze the most value out of every piece of content. Taking automation a step further, I’m able to schedule in some related content to post out to my social media followers by linking Buffer up to Feedly (my RSS reader). I’ve done this with the help of IFTTT, a free tool that synchronizes a whole host of different tools together. Again, I’m not going to go into the full details of IFTTT because that’s a whole post in itself. Instead, go over and check out Matthew Woodward’s full tutorial. All you need is the recipe that I created, which is here. Using this recipe, IFTTT will add any articles that you Save for Later on Feedly directly to your Buffer queue. This saves me so much time when I’m on the move. So, I’ve discussed how to optimize your social shares for maximum exposure. Now it’s time to look at reaching a wider audience through paid advertising. I know I mentioned we’d be sticking to a budget and I meant it. I’m not talking about spending a fortune here; I’m talking about spending small amounts that deliver big results. Just to set the scene a little, I’m going to introduce you to my latest personal project – my pescetarian food blog. The truth behind this project is simple… I love food. Also, along with my lovely partner Laura, I don’t eat meat (I know, how hipster of me… sigh). We decided that we wanted to create a blog for other dinner-party nightmares like us and start sharing some of our own recipes; hence the creation of our blog. I knew that Facebook was going to be a huge channel for us (along with Pinterest), so I used the food blog as a testing ground for some new approaches to Facebook advertising. All of this for under £80 per month (this is the max budget for me at the moment, but you could easily do half of this and see great results). The blog is coming into its third month of being live and so far our Facebook page (at the time of writing) has 2,364 likes. Not bad for under three months. It’s been liked 159 times, shared 22 times and has had 4 comments (this is all within 24 hours). The rest of our posts tell a similar story. On top of the post engagement, Facebook has been a huge traffic generator for us, sending over 1,000 unique visitors to the blog within the first two months, and this seems to be growing rapidly day-by-day. In the past 30 days we’ve hit just under 5,000 unique visitors and this has largely been fueled by our social campaigns (spending under £80 per month in total). Facebook have recently launched an awesome new feature where you can install a tracking code onto your website to identify if any of your visitors have an associated Facebook account. If they do, they’ll be added directly into a custom audience profile that you can display ads to. The great thing is that they’ve already engaged with your content. This dramatically improves click-through rates, which has a direct effect on your cost per click. Now, bear in mind that this is just a simple page like advert and there’s no sponsored posts being promoted. At a price of £0.09 per page like (from an engaged user), I’m able to grow my following at a rapid pace. 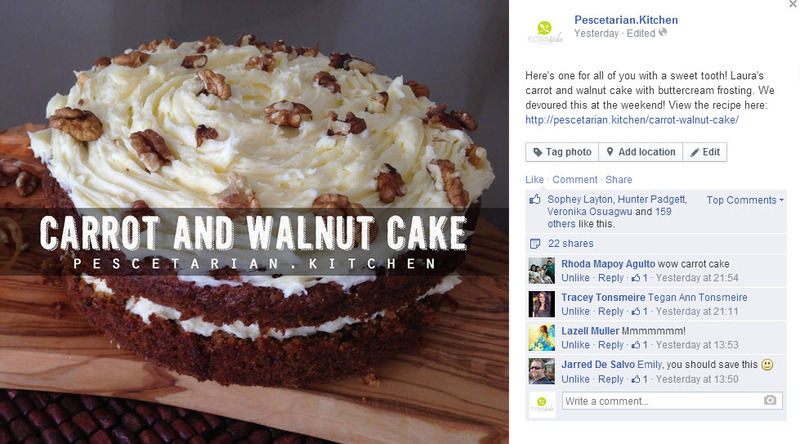 Facebook isn’t the only platform that you can utilise for advertising on a small budget. Most major social networks now have a paid advertising option, but StumbleUpon and Reddit are two that I’m particularly fond of. StumbleUpon’s Paid Discovery platform gives you the unique advantage of being able to deliver your content directly to users without actually requiring them to click on an ad. 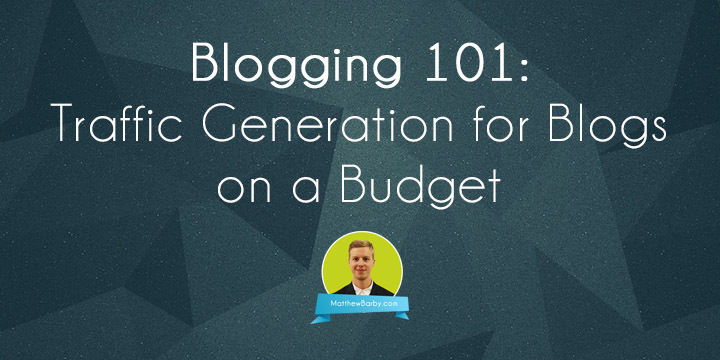 This makes it perfect for traffic generation, and it’s even better when you consider you can pay as little as $0.10 per visit, but you need to ensure your content is right for the platform first or you’ll end up with a huge bounce rate. To do this, I’ve been practicing a technique that I learned from Ross Hudgens of Siege Media. In this post, Ross suggests spending no more than $15-20 dollars to measure the feedback that users within StumbleUpon are giving. If the ratio of visits to Thumbs Up (a StumbleUpon metric) is low then it’s no longer worth pursuing the ad campaign. It’s worth taking a full look through the post Ross wrote because it offers some seriously valuable insight. One thing I also love about this is that any visits through to your blog will be added into your custom audience profile on Facebook (granted you’ve set up the tracking code) and you can start marketing to them there as well. Like StumbleUpon, Reddit offers an incredibly cost-effective way to drive through traffic to your content. I’ve run campaigns from as little as $20 through Reddit and still had good success. The key here is targeting. You get the option within Reddit’s advertising platform to only display ads within a specific subreddit. Considering there’s a subreddit for pretty much anything, you’ll be able to hit a really targeted bunch of people. One great campaign that I read about a few years ago was with Duck Duck Go (here’s the link). They managed to bring in 20,700 visits from just $650 – crazy! The platform has moved on a lot since then, but there’s still huge potential to bring in cheap traffic. Within nearly every niche there are a whole host of community websites where you can share your content to drive traffic to your blog. I’ve just talked about advertising through Reddit, but even without advertising, Reddit is a seriously powerful traffic generator. A quick tip that I’ve found with Reddit is to look for subreddits that have minimal activity within them but an ok level of subscribers (you usually find this with really specific topics). I found this within the pescetarian subreddit. As a result of a lack of content being submitted, the posts that receive a few upvotes will stay in the hot list for a long time. In the screenshot below you’ll see three links through to my food blog that have been there for over two months! This has generated just under 950 unique visitors in the past two months. Oh, and did I mention that Reddit links are dofollow? So that means I’m getting a ton of link authority passed through to my blog that will have a direct effect on my search rankings. These are just a small few, but with a quick Google search, or by asking fellow bloggers, you can uncover loads of smaller communities relevant to your niche. My advice for engaging within these communities is to spend at least a week or so simply observing. See how frequently content is shared, who is submitting it and what types of content seem to perform well. This will give you some sense of what works and what doesn’t – and it also saves you looking like a complete noob! Running giveaways on your blog is a great way to drive traffic through to both your website and your social media accounts. I wrote an enormous guide on running online competitions on my own blog a few months ago that you may find useful for this (it’s around 6,000 words long, so you’ve been warned!). The main challenge with running a competition is actually sourcing a prize. This could cost a significant amount to buy in, which if you’re like me, you don’t fancy doing. If there’s one thing that PR companies love, it’s supplying bloggers with free products from their clients. Now if only there was a way to get in touch with a load of PR companies to see if they want to give you some products for your giveaway… oh wait, of course there is! They come in the form of journalist enquiry services. My weapon of choice is ResponseSource (completely free to send requests through), but there are tons out there, for example Gorkana and HARO. Simply put in a request and you should have a load of responses from companies within an hour or so – win! If there’s one thing that I can’t stress enough, it’s the importance of building your list of email subscribers. These people are the most valuable assets that you have within your blog. They’ve signaled that they like your content so much that they want you to inform them whenever any new content is published. These are up there with your most engaged visitors. Within my digital marketing blog (I know, I have too many blogs), my biggest traffic source comes from my newsletter subscribers. Every time I press publish, I can almost guarantee around 400 unique visits from that alone. More importantly, these are the people who will share and engage with my content to help it reach a wider audience. At the beginning, building your list of email subscribers is slow. This takes time to develop, but if there’s one thing I’ve learned it’s that you don’t want to look back at traffic spikes from a few months ago and wish that you’d set up newsletter capture forms – that’s a real killer. Create a free account on an email marketing platform. I use MailChimp. Add a tool like ManyContacts to your blog to enable newsletter subscriptions forms to appear across your blog with clear calls to action. Use the Subscribe to Download plugin for WordPress to offer PDF downloads of your content in exchange for signing up to your newsletter. 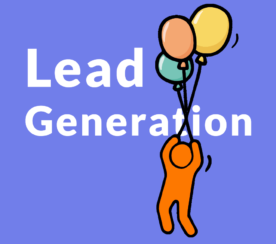 Set up Twitter lead generation forms to get people to sign up for your newsletter directly within Twitter. Read this amazing guide from Dana Tan on how to do this for free. Use Rafflecopter within your blog competitions to link directly to MailChimp and add any new entrants to your mailing list. Allow anyone who comments on your blog to sign up directly to the newsletter with a simple tick-box. This WordPress plugin will do just that. These are just a few ideas, but I’d encourage you to experiment with this. Just remember to stay in regular contact with your subscribers and always split test your campaigns to ensure that you’re getting the best possible results moving forward. 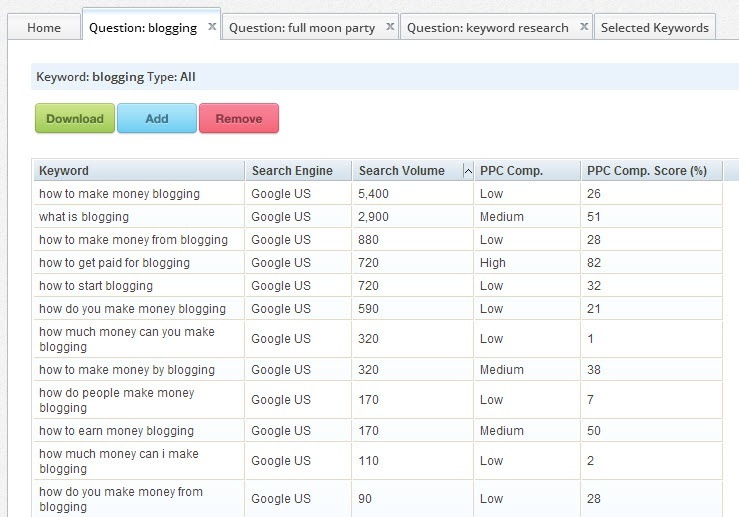 Focus on more specific, long-tail search queries to target within your search campaign. 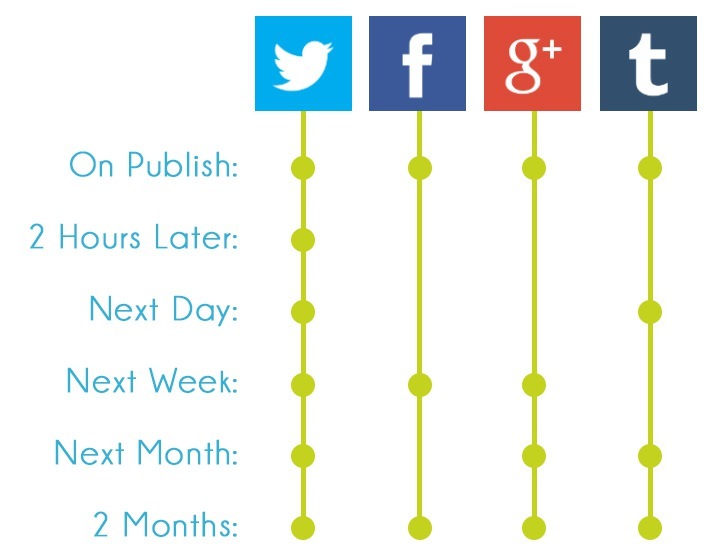 Schedule your content sharing across social media to ensure you’re getting the optimal reach. 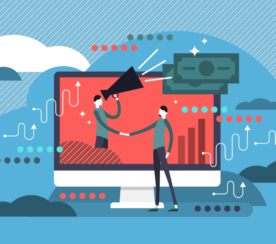 Utilize paid social advertising platforms on a small-scale to for great results. Participate in niche communities and Reddit subreddits to cash in on some quality blog traffic. Run online competitions to increase your blog’s exposure, build its social following, and increase your mailing list. Ensure your blog has a good level of call-to-action around email capture. Don’t think that you need to spend a fortune to get results. Sometimes, less is more! The author has no affiliation with any of the resources listed.